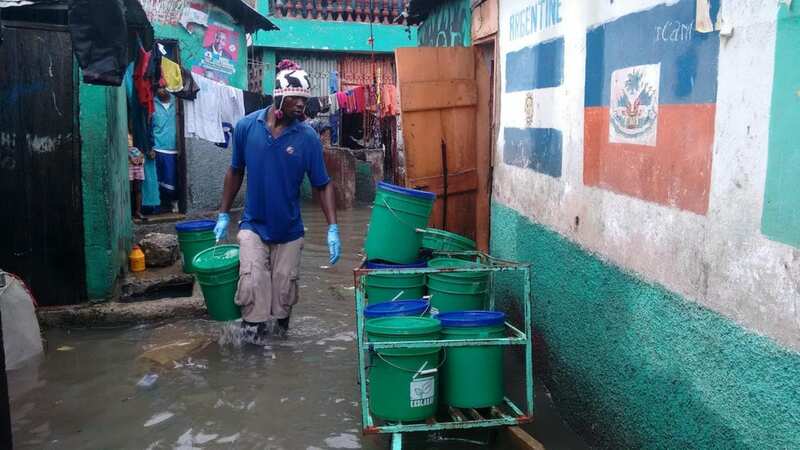 SOIL’s container-based sanitation solutions have been intentionally designed to be resistant to natural disasters and our full-cycle household sanitation service helps Haiti – one of the most climate-vulnerable spots on earth – adapt to and mitigate the effects of global climate change. “It is now devastatingly clear that tackling the global climate crisis is going to take immediate and urgent action,” says SOIL board member Ingrid Henrys. In the lead up to the COP24 conference this week, which SOIL is honored to participate in as a winner of the 2018 Momentum for Change award, Ingrid spoke about climate change and climate action on behalf of SOIL’s teams in Haiti. Here’s Sir David Attenborough telling the story of SOIL’s work along with our fellow Planetary Health prize winners. Planetary Health: Narrated Sir David Attenborough from Momentum for Change on Vimeo. No Replies to "SOIL at COP24: The Opportunity Ahead of Us"